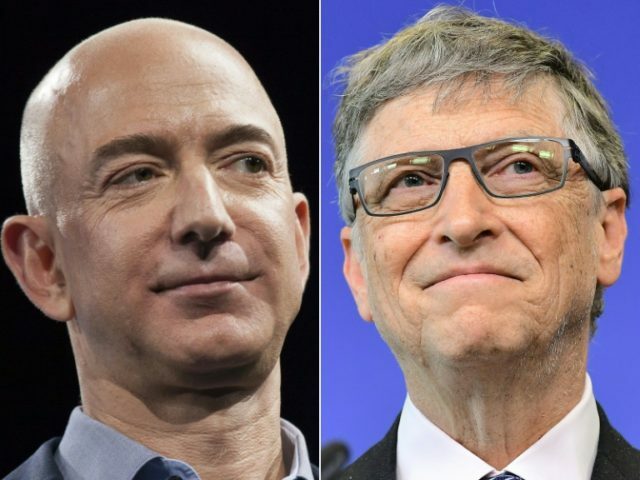 Paris (AFP) – Amazon chief Jeff Bezos is now the world’s richest person, having snatched the top spot from Microsoft founder Bill Gates who slips to second place, according to Forbes magazine’s annual billionaires list published Tuesday. Bezos’ fortune shot up to $112 billion, Forbes said, after a 59-percent rise in Amazon shares over the past 12 months that put him way ahead of the $90 billion listed for Gates. After the announcement, Bezos’ worth rocketed again to $127 billion in line with a spike in Amazon stock, widening the gap between him and Gates.